'Banega Swachh India’- In Hindi it means– India will be clean. 'Banega Swachh India' is a positive statement that fills us with hope. To make #SwachhBharat vision & mission true, we need to cope. ‘Cleanliness is next to godliness’. What is the definition of ‘home’? The enclosed private space where we stay? That would be too narrow a definition. In Sanskrit it’s said- ‘Vasudhaiva Kutumbakam’- the world is family. If the world is our home, then India is a room where we stay. If all rooms are cleaned, then our home will be clean too. 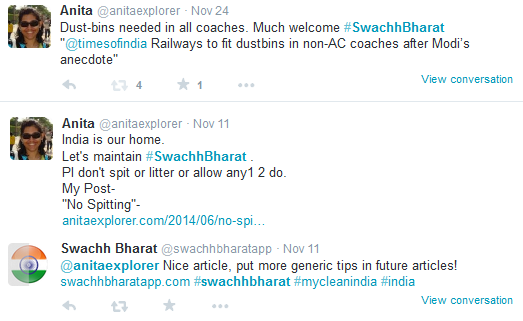 We have the power to choose- Dirty India or Swachh India? We keep our bodies and homes neat and clean. But, what about being responsible for the cleanliness of our surroundings? Not enough to clean our homes and feel our work is over. Outside environment needs our attention too. Unless sanitation and hygiene is maintained in our neighbouring areas, we cannot be germ-free nor have a good quality of living. Our body will be prone to diseases when surroundings are dirty. Seeing garbage or filth all around will impact our mind negatively too. We will not feel good mentally and will be stressed or fearful. A Swachh mind resides in a Swachh body. 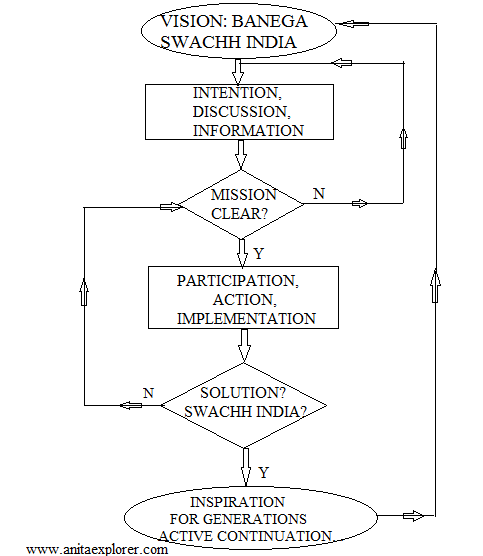 We dream of a Swachh India. “Be the change you want to see in the world” -Gandhiji. The Ugly Indian shared his talk- ‘Why is India So Filthy?’ at TEDxBangalore. Complaining about India being filthy is easy. The question is- What have we done or are we doing to ensure a Swachh Bharat? We need to change our attitude and behaviour. If like our ancestors in the Indus Valley Civilization & Vedic age, we too care for our homes, surroundings and for sustainable living, nature’s balance and environment will be well-maintained. Environment- Good hygiene and sanitation will preserve nature and the elements necessary for life like- water, air & soil. Food- Good quality food will be produced when we have unpolluted soil, fresh vegetables, pulses and grains. When food is hygienically stored and prepared, people will not fall ill viz. in Mid-Day-Meals. Education- Proper sanitation facilities in Schools can attract girls too. Educate a girl and educate a family. Healthcare- Diseases will be prevented when better hygiene & sanitation standards are enforced. Lesser numbers of people will fall sick. Standard of Living & Facilities- A healthy population can be gainfully employed. Hunger & poverty can be countered with better living standards. Economy- Resources like time & effort will be saved as lesser man-days will be lost in combating diseases or doing maintenance or renovation for dirty places. As ‘time is money’ and ‘health is wealth’, economy will gain with healthy individuals and neat places. Tourism Industry- We may proudly claim- 'Atithi Devo Bhava' (Guest is God), but are yet to offer the best for our guests. Better sanitation & hygiene can attract tourists. India’s tourism will thrive and will have a trickle-down effect, supporting employment & widening prospects. Example/Inspiration for all- Good sanitation & hygiene can set an example & can inspire everyone follow suit. Our actions serve as examples for our future generations, and have direct correlation with our present and their future life. 1. CHANGE BAD HABITS FOR INDIA - Do not do anything to make India dirty viz. spit, litter, urinate... in public spaces. 2. If we can't find a dust-bin, carry the empty-wrappers/refuse etc, till we access a dust-bin. 3. Don’t mock, discourage or create impediments for people who are trying to help Clean India. 4. Use the power of technology with cameras or smartphones in our hands. Just click pictures & upload videos of people spoiling our India. We can insult & shame them by clapping hands and attracting attention to their acts as shown in a recent #SwachhBharat Incredible India ad. 5. Take action & raise our voice & train & sensitize people & don't allow anyone to dirty India. 7. If we can use social media extensively to share 'jokes', we can also use it as an agent for change. Contact local leaders or those in power and demand responsibility that they do their works. 8. Share #SwachhBharat info with all our friends and family actively and make it a part of our DNA. Enough reason to SHARE THIS POST NOW! Love the inspiring & apt “Sharm Ka Taj" (Crown of Shame) TV-advertisements featuring Shri Aamir Khan. In one ad, the guilty are crowned with the same "shame-crown" and in the other, the public is given a choice to choose whether we want to insult our India or make our India proud. “Take pride in being an Indian” the ad concludes. It is great that Shri Amitabh Bachchan is associated with #SwachhIndia & hope it's successful like the Pulse-Polio campaign. Done "gilly-gilly-gappa" magic tricks in Jaadugar! Cleaned up his dirty home with the movement of his hand in Bhootnath! Cleansed the city's crimes & baddies in "andheri raaton mein, sunsaan raahon pe" in Shahenshah! 2. 'Main aur meri tanhai aksar yeh baatein karte hain- #SwachhIndia hoti toh kaisa hota'. 5. '#SwachhIndia ka intezar toh SawaSauKarod deshwaasi kar rahe hai. Lekin Indiawaale, ek baat samajhlo #SwachhIndia mushkil hai, namumkin nahi'. "It's an immutable law in business that words are words, explanations are explanations, promises are promises but only performance is reality." Our actions have to speak louder than words… Let us make Swachh India a reality. This is my 2nd Post for Swachh Bharat. Sharing two images from my previous Post. Specially created with love for #SwachhBharat & #SwachhIndia! What Sanitation & Hygiene mean to me! The screenshots of Bloggers’ comments are from my post- NO SPITTING. 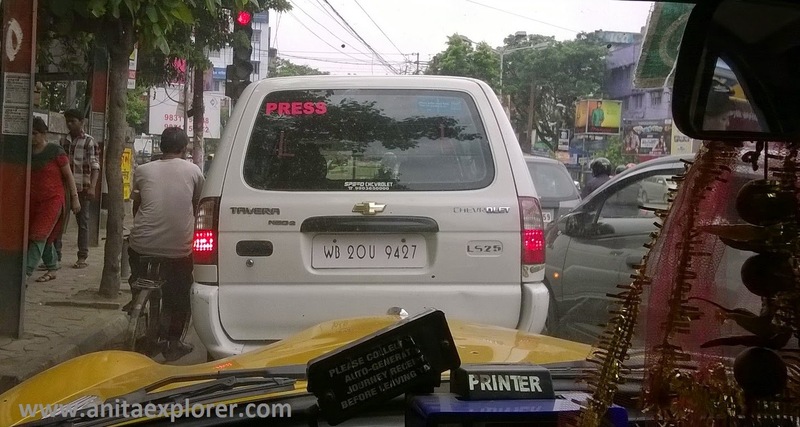 Thanks IndiBlogger for the IndiChange & IndiSpire initiative & for helping us contribute. I am a HUGE Hindi Movies & Amitabh Bachchan Fan. Do check out my Blog posts on Amitabh Bachchan here. You can read my posts on Social issues here. A creative write up especially with the comments of the readers. Spitting/throwing papers is not only in India but is seen even in well developed countries like UK and US as well. We cannot control everyone and when they are in their high, you can expect broken glasses, wrappers to pizza covers etc. All you can do is to educate the children in the hope of better tomorrow. The banega swachh campaign is a good start. Some nations have heavy penalty for littering or other such acts, and thus deter citizens from indulging. Responsible behaviour is very citizen's duty. Hope we have more such campaigns & awareness so that we get to see a #SwachhIndia soon. Amen! Totally agree, Shilpa! May we all treat this as priority. Thanks a lot! Delighted you liked it! It will take sincere effort by each one of us to make this vision a reality. Meaningful post, Anita! We need "education" too along with sincere effort. Great effort, Anita. I love the unique ways in which you convey your message. Very creative. Thank you so much for your kind words & recognition :) Means a lot! where is a will , there is way ! Thanks a lot, Shruthi :) Best wishes to you! Pleasure to mention your valid comment in my post! Thank you so much for the info and for inviting & including my Blog in the World Directory. I love all the badges. Thanks a lot! Informative post Anita, people need self-awareness and most importantly #Swachh India journey starts from our own house. I liked the concept of using reader's comment in your post. Thanks for your appreciation, Appy! Yes, we all have to work for #SwachhIndia. This vision will become reality only when every individual contributes in every possible way. Absolutely true, Rajesh. May we all contribute. 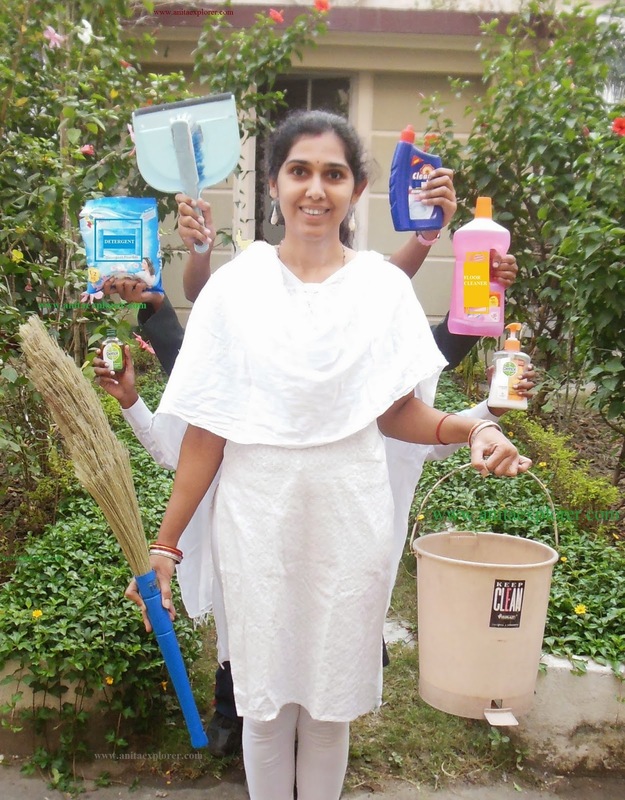 A very innovative perspective to promote cleanliness, Anita! Best of luck for the contest! Thanks for your appreciation & wishes, Rahulji :) Best wishes to you too! "If the world is our home, then India is a room where we stay. If all rooms are cleaned, then our home will be clean too. ".....very well said, if everyone starts doing their bit....we will achieve the results.. Yes, we must all feel that apart from our 'home', India & the world is our home too! I have watched most ABji's movies. Delighted you liked it! Yes, our India is our responsibility. We must initiate change. May we have everyone's participation & a Swachh India soon. Exactly! May we all accept & take up ownership of India as our home.